As retailers large and small contend with the disruptive force that is Amazon, they’re looking into various ways to deliver a unique omnichannel experience. The omnichannel combines physical stores with mobile apps, websites and social media to create a consistent experience for customers as they switch between channels to interact with a retailer. Serious technology investments are necessary for the omnichannel to work. If a customer browses for an item with a mobile app and places it in the cart, they expect to see the item still in the cart when they log on with a desktop later to finish the transaction. If they can’t get it online, they place the order, and go to the store to pick up without having to wait in a queue. Customers want their packages, and they want them now. Therein also lies a great opportunity for brick and mortar retail to build the in-store experience with customers, while strengthening fulfillment, stock and omnichannel technologies. Today there’s an immediacy that customers are looking for along with convenience. Retailers recognize that simply trying to match Amazon’s free two-day delivery isn’t enough. A recent study by Ayden confirms that shoppers still prefer to make purchases at brick-and-mortar stores if given the chance. 64% of people enjoy browsing and 75% believe it is important to touch, feel and try on the merchandise. Human interaction, a personalized experience, knowledgeable employees and a hospitable atmosphere creates loyal shoppers. Personalized in-store offers also often entice customers to spend more in stores. Brick and mortar stores that serve the needs of people based on pain points, shopping behavior and new technology will help drive profits. In the omnichannel model, each customer is recognizable to a retailer no matter how he or she chooses to interact with the company, be it through a website, a mobile app or a physical store. Companies that create a seamless experience for customers will pull ahead of the pack as the retail industry transforms itself to leverage disruptive technologies. Omnichannel investments require thoughtful planning and strategies – and of course money. The omnichannel isn’t a new notion; it’s been talked about for years. Implementing it has been a major challenge. The systems needed to collect and analyze customer information are expensive, as are the required applications, databases and infrastructure to integrate everything. For instance, POS applications at stores and online ordering systems collect information about customers and purchases that can be fed into analytics systems to create customer profiles. Data to help build profiles includes online browsing history and information from Internet of Things (IoT) sensors deployed through stores to track customer traffic. Combined with WiFi analytics, data from sensors can tell retailers a lot about what customers want and where they spend their time while in stores. Armed with data from online, in-store and social media sources, retailers can develop omnichannel strategies to target individual customers based on pain points and interests. Details such as customer preferences, shopping patterns and purchase histories can be used to tailor promotions to specific customers. This is a powerful tool that can pay healthy dividends in customer loyalty. For omnichannel strategies to succeed, retailers need to address some challenges that if left unsolved are bound to jeopardize the customer experience. For instance, having a firm handle on inventory is crucial. A survey by the National Retail Federation (NRF) found that inventory accuracy hindered the omnichannel efforts of 56% of companies polled. Another challenge for 65% of retailers is having inventory planning systems that forecast cross-channel demand. Retailers are trying to address this – the top omnichannel investment planned for this year is in order management systems. 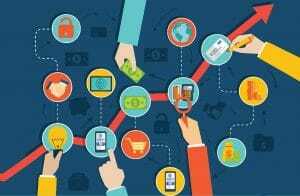 Another omnichannel challenge involves human resources, according to NRF. “Stores have had problems with allocating space to stage omnichannel pickups and to handle fundamental offerings like online returns in stores. Furthermore, retailers need to train customer service teams to manage complaints when customers request information that touches multiple channels.” This is an area where more thought and investment are needed. The omnichannel isn’t something companies can build overnight. 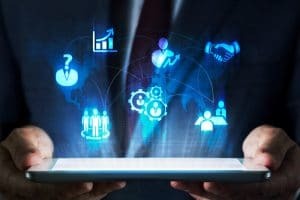 It takes a lot of planning and effort to implement the data capture and analytics systems, and integration between disparate parts of the organization, to make it all work together. While the term “retail apocalypse” has been used in our industry, it implies retail is imploding and falling apart. According to IHL, the reality is that retail is growing. Consumers still want to touch the product—and you can’t do that online. If you have a unique value proposition, omnichannel strategy and a way to personalize the shopping experience, customers will become more loyal. Retailers that succeed will be better positioned to grow their business and fight of the likes of Amazon.